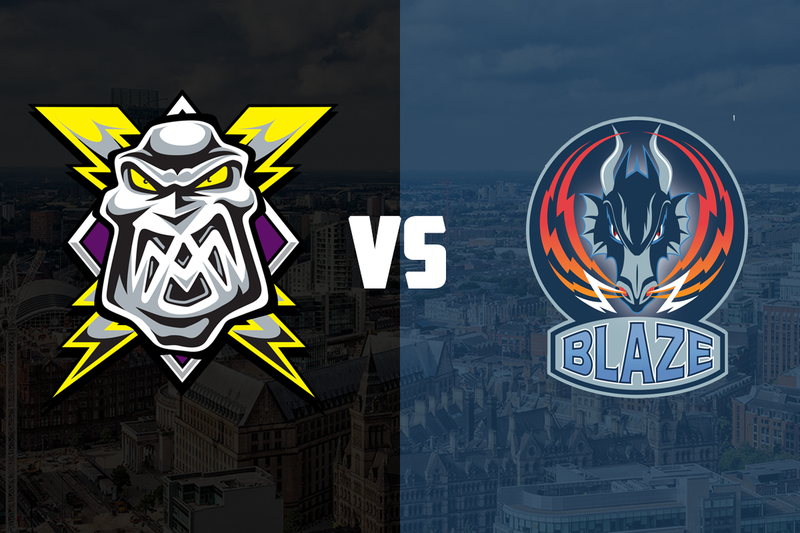 TICKETS: The Go Goodwin’s Manchester Storm welcome the Coventry Blaze on the 3rd February 2018 at 7pm, here at Planet Ice Altrincham in Elite League action! Tickets can be ordered online, by calling the box office on 0161 926 8782, or in person at the box office. 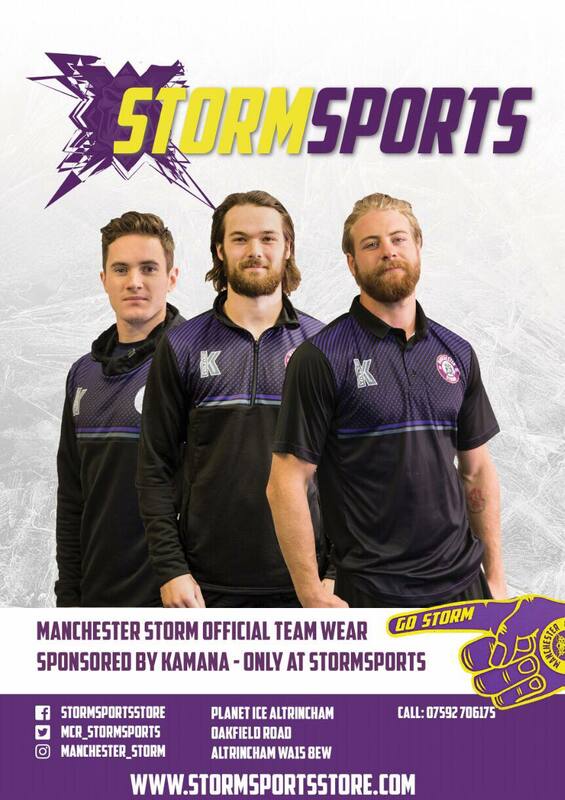 Your Go Goodwins sponsored Manchester Storm are back in the Storm Shelter this Saturday, as the Coventry Blaze travel to Altrincham in a 7:00 pm faceoff in another huge Patton Conference clash. Storm’s reward for winning in Milton Keynes in mid-week was a move to third place in the league, leapfrogging Fife who have five games in-hand and are just a single point behind. In the conference standings, Storm have now moved seven points ahead of Guildford, who have also played five games fewer. Equal on points with the Flames are Milton Keynes, while Coventry are a single point behind the Flames and the Lightning, and eight points behind the Storm but they have three games in hand. The Blaze are in fight for the final playoff spots, along with Braehead, Dundee, and Milton Keynes. Coventry are currently four points behind eighth-placed Braehead, with a single game in-hand. The Blaze and Storm have faced each other five times in the league this season, with four of those games taking place in Coventry. Manchester currently lead the head-to-head 3-2, however Coventry won the sole game in Planet Ice Altrincham shutting out the Storm 5-0. Matt Beca and Mike Hammond have top scored against the Blaze, with 9 and 8 points, respectively. Both players have scored twice, while Luke Moffatt has scored 3 against the Blaze. Marc-Olivier Vallerand has been in top form against the Storm, scoring 7 and assisting on 3 goals in 5 games, while Jordan Pietrus has picked up 8 points in the 5 games. In nets, Mike Clemente has saved 158 Blaze shots with a save percentage of 90.3%. Kevin Nastiuk in the Blaze net has made 122 saves from 137 shots, a save percentage of 89.1%. Coventry’s coach Danny Stewart will miss the game this Saturday, after picking up a 1-game suspension from the Department of Player Safety. One to watch: Marc-Olivier Vallerand leads the league in goal scoring, having picked up 25 goals already this season, while adding 24 assists. The Station Hotel, official pub of the Storm, will be open pre & post game! There will be FREE post-game ice skating & skate hire thanks to Planet Ice Altrincham! Storm will be in their WHITE jerseys for the game. REPORT – Lightning fail to strike twice in 4-1 win for Storm! REPORT: Storm on Cloud 9 with a 9-1 win over the Blaze!